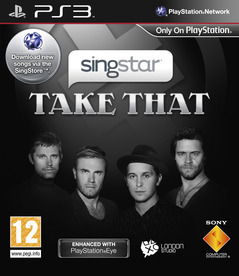 Ooo, Take That comes to the Singstar catalogue tomorrow. Fans around the world can now sing / howl tunelessly to the boy band’s energetic pop tunes and soulful ballads. The latest addition to the Singing game’s catalogue includes 25 of the classics and a few more off-beat hits. Get practising right now and then log-on to Singstar’s Song Store tomorrow to download the latest tracks from the online music catalogue. 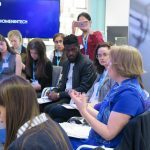 Singstar Motown and Singstar Queen have already been big catalogue successes for SingStar’s song store, with the amount of Take That fans out there… we’re expecting this to be pretty popular. Singstar is compatible with PlayStation 2 and 3. This, if you’re interested, is the tracklist: get practising. Me? I’ll be singing Back for Good. Only one I know the words to. It’s what I sing to my internet connection when it stops working. Related: Singstar goes wireless with Sony and Could Break-dance hero join Guitar hero? Must. Keep. Away. From. Girlfriend.